A website for a Dental Marketing company (as well as the company I work for). This site was designed and coded by me using meaningful valid XHTML & CSS. 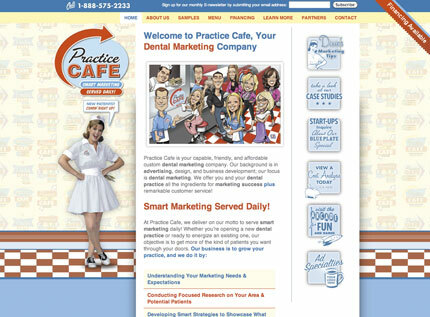 It has been featured on several CSS online galleries, and is quickly becoming one of the premier dental marketing companies in the United States. For a complete write up on the making of the site read here. Welcome to my home on the interwebs. You can follow me on Twitter, become my friend on facebook, keep up with me on my blog, look at my photos on Flickr, watch my videos on Vimeo, or listen to my mixtapes on 8tracks. I love good design, well written markup, basketball, good music and movies. 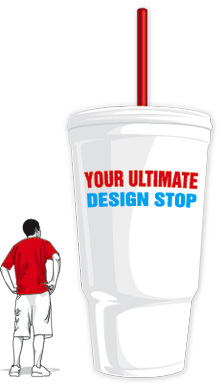 During the day, I'm a senior web designer at Practice Cafe. When I'm not helping them provide outstanding dental marketing in the form of creative detail oriented marketing materials, I work with my own clients late at night or on the weekends when I'm not spending quality time with my beautiful family.